Shopping for a recumbent bike that can give you the best bang for the buck? The Nautilus R614 and the Schwinn 270 are two of the top rated recumbent bikes today. This Nautilus R614 vs Schwinn 270 comparison and shopping guide will help you decide which model is more appropriate for you. Both recumbent bikes have practically the same price. These fitness bikes are also designed for both amateur and professional users. But which model is better? Continue reading to find out. The Nautilus R614 is a strong and stable recumbent bike thanks to its pretty large footprint. A one-piece machine, it has a frame made of steel. It measures 49.6 inches high, 28.3 inches wide and 65.3 inches long. It has a weight of 84 pounds. On the other hand, the Schwinn 270 is slightly smaller than the Nautilus R614. It has a height of 49.9 inches just like its competitor. It is also heavier at 86.6 pounds. But the Schwinn 270 is a bit narrower at 27.7 inches and shorter at 64 inches compared to the Nautilus R614. The differences in the build of these recumbent bikes aren’t that glaring, to say the least. Both the Nautilus R614 and the Schwinn 270 are easy to assemble. Sure, there are lots of pieces to assemble in each machine but you should be able to put either bike by following the step-by-step assembly manual. The Schwinn 270, though, comes with a fully illustrated instructional manual. As such, you can expect to assemble the bike in around an hour. The Nautilus R614 should take around 1-2 hours to be set up. The seat of the Nautilus R614 has an adjusting rail system. This means you can adjust it horizontally so you can have enough room for your legs during workouts. This bike is designed to accommodate users who stand from 4 feet, 11 inches to 6 feet, 4 inches. While people taller than 6 feet 5 inches can still use this bike, the highest seat setting of the bike may prevent them from getting a full leg stretch . The Schwinn 270 is designed to accommodate a wider range of users, though. Its seat has an adjustable rail mechanism. It can be horizontally adjusted. The bike itself can be used by individuals who are as short as 4 feet, 6 inches to as tall as 6 feet, 4 inches. Guys and gals who stand up to 6 feet 6 inches may still use the recumbent bike but they may not enjoy a full leg stretch. The Nautilus R614 is equipped with a pulley drive mechanism. The pulley has a bigger diameter compared to a flywheel, resulting in steadier pedaling. It is connected to the pulley with a heavy duty belt. The flywheel, meanwhile, is perimeter weighted which further makes pedaling smooth and steady. The crank arms are made of steel as well with standard pedals and toe straps. The R614 uses an eddy current brake system meaning it has to be connected to a power source for adjusting resistance levels. On the other hand, the Schwinn 270 has a flywheel weight drive system. This enables the recumbent bike to balance the weight and create enough inertia response for a smooth and consistent stroke. The Nautilus R614 is generously equipped with numerous accessories designed to make working out more fun. It comes with a three-speed fan which is very useful during an intensive workout. It can also keep one cool during extreme heat. The console has two acoustic speakers that practically eliminate the need to wear earphones while working out. You can listen to your favorite tracks anytime you work out on this recumbent bike. The speakers are surprisingly loud for such a small system, rendering crystal-clear sound. These can be connected to most devices from smartphones to MP3 players. There is also a small tray integrated into the console. This is designed for holding tablets and books. Users can keep themselves entertained while going through a long workout thanks to this fantastic feature. Finally, the R614 has a small bottle holder that can come in handy whenever you need to drink and refresh yourself after an exhausting workout. The Schwinn 270 practically offers the same accessories. It has a small bottle holder and a three-speed fan. It can also play music from MP3 players via its speakers. Its Bluetooth connectivity can also facilitate playing music from smartphones. And a media shelf can be used for holding a book or tablet while exercising. The Nautilus R614 has a plastic seat that curiously lacks cushioning. This might turn off some buyers who want a cushioned seat so they can be comfortable during their workouts. While it is made of plastic, the seat has a delicately contoured design. Users should be able to sit on it without feeling uncomfortable. It also has an ergonomically designed back support. Moreover, both the back and bottom of the seat are vented to prevent overheating and keep users comfy even during extensive workouts. The bottom of the seat is 17 inches wide and 12 inches deep. It provides enough room for a comfy workout. On the other hand, the Schwinn 270 also has a seat made from hard plastic. But Schwinn also designed this recumbent bike to be comfortable for users despite the seat being made from plastic. It is ergonomically designed to prevent back pain or bottom soreness even after long workouts. The seat is also height adjustable, which makes the Schwinn 270 slightly better than the Nautilus bike in this regard. Both models have pedals with straps. The difference, though, is that the Schwinn 270 pedals have a three-piece crank assembly which makes it more durable than those of the Nautilus R614 having a one-piece assembly. The Schwinn 270 pedals are also designed to accommodate large feet. These two recumbent bikes are equipped with an advanced console. As mentioned earlier, the Schwinn 270 console comes with numerous features like sound system and media tray. But it is also packed with fitness-related functions that can keep track of your workouts and provide you more motivation in achieving your fitness goals. The console shows exercise details like distance, time heart rate, RPM, calories burned, heart rate, intensity meter, and goal percent completed, among others. There are 29 workout programs that you can choose from. Adjusting the resistance levels of the bike can also be done by accessing the different keys in the console. Moreover, the console can store up to four user profiles. 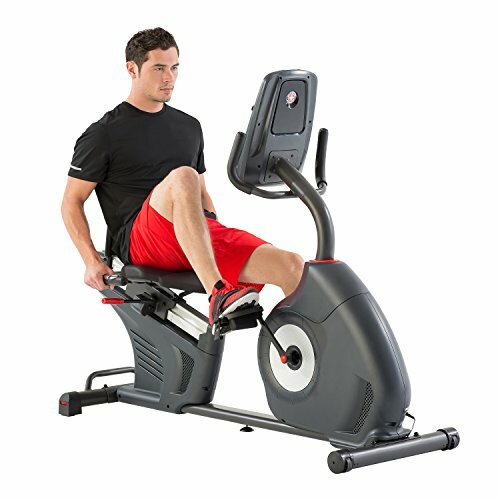 The Schwinn 270 is thus an ideal workout machine for households where many individuals want to exercise. 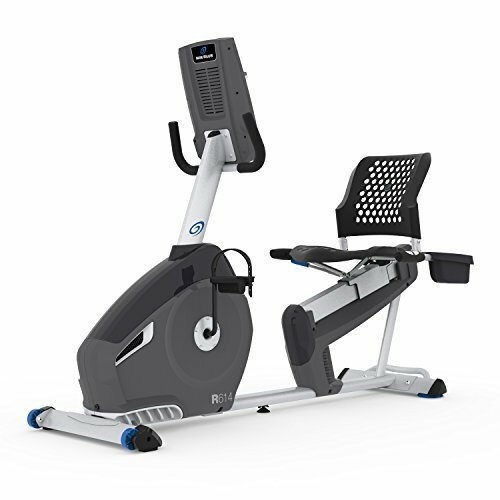 The Nautilus R614’s console is also advanced though it has fewer workout programs (22) and user profiles (2) compared to that of the Schwinn 270. You can also adjust the resistance levels of the bike through the console. With their impressive build quality and advanced features, it can be difficult to pick between Nautilus R614 and Schwinn 270. However, the Schwinn 270 recumbent bike is a slightly better mode because it is easier to assemble and its pedals can accommodate even the largest of feet. It also boasts of a more feature-packed console. That said, you won’t go wrong with either recumbent bike model.